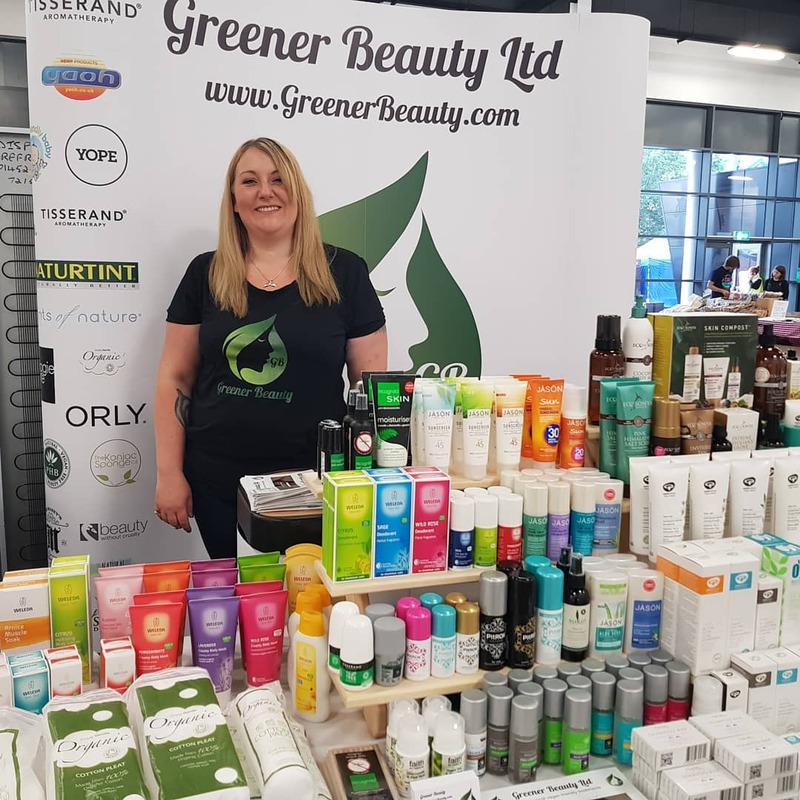 We speak to Vic Wood, founder of Greener Beauty, about why she set up her ethical vegan beauty business, and her connection to what she is trying to do. VFL: First off tell us about Greener Beauty, how did you come up with the idea? VW: I set up Greener Beauty for two reasons. I run a treatment room offering 100% vegan beauty and holistic treatments and makeup services. I frequently had customers mentioning that they didn’t know that a vegan-friendly beauty salon was a thing and they didn’t know how to find one apart from posting in local Facebook groups and that there was no one central place that people could look. Food was much easier with apps such as happy cow and local blogs like Sussex Vegan. I knew of quite a few other vegan-friendly salons so from there the idea for Greener Beauty started to take shape. I decided to incorporate a shop as I became frustrated at how hard it was to buy vegan, cruelty-free, toxic chemical free products from companies that weren’t owned by animal testing parents without paying multiple postage costs. And even then some sites would show something was vegan-friendly and on delivery looking at the ingredients I would find honey or silk etc! I just knew there had to be an easier way. VFL: There definitely is a need for a service such as Greener Beauty. You launched at Brighton Vegfest earlier this year, so where are you now? VW: Well its been a crazy 5 months! 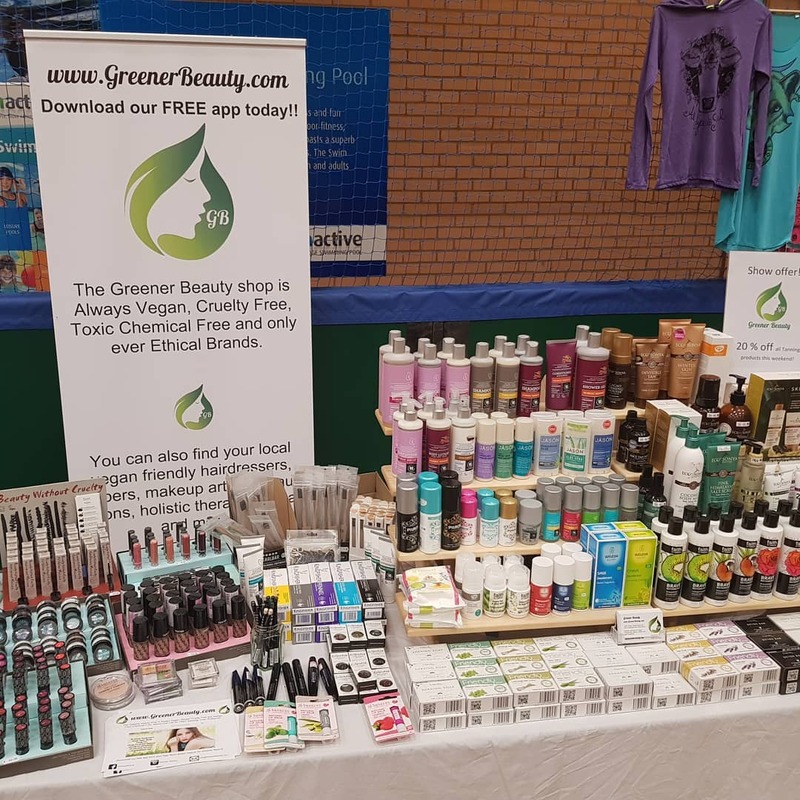 The website has been live for a while and we have lots of regular customers who come and chat to me at vegan fairs and are grateful to have the safe space that we have created. We now have over 55 brands in the shop and approximately 1100 products, it is growing rapidly and I am now regularly being contacted by new brands. It is a lovely mix of well-known brands and smaller lesser known artisan brands. And as time goes on the volume of products is only going to go up, we have some lovely brands signing up in the next few months. VFL: And what about the location service element of the site? VW: This is also growing quickly. We now have 700 salons listed that include hairdressers, makeup artists, tattooists, holistic therapists, beauty therapists, barbers and even spas. And we aren’t only UK based anymore for the salons as we are getting listing submissions around Europe and further afield. We are currently working on a booking system so people will be able to book appointments through the app and the website. VFL: What is the long-term plan for Greener Beauty? VW: We have lots of exciting plans for the future. We are working on a trade shop for salons that will be an online shop for salons to buy professional vegan-friendly ranges of products. We ideally want all salons to become vegan-friendly and make that as easy as possible. The shop will continue to grow as more brands and products are added. And I am currently working on some exciting projects for Xmas gifts. Plus on a personal level as a vegan and animal rights activist I want to do more to empower the vegan movement and help support vegan and animal rights charities. VFL: This all sounds amazing Vic. Tell us about your journey in veganism. VW: Well I was veggie for about 14 years before I made the connection with cruelty and the dairy industry and have now been vegan for just over 5 years. 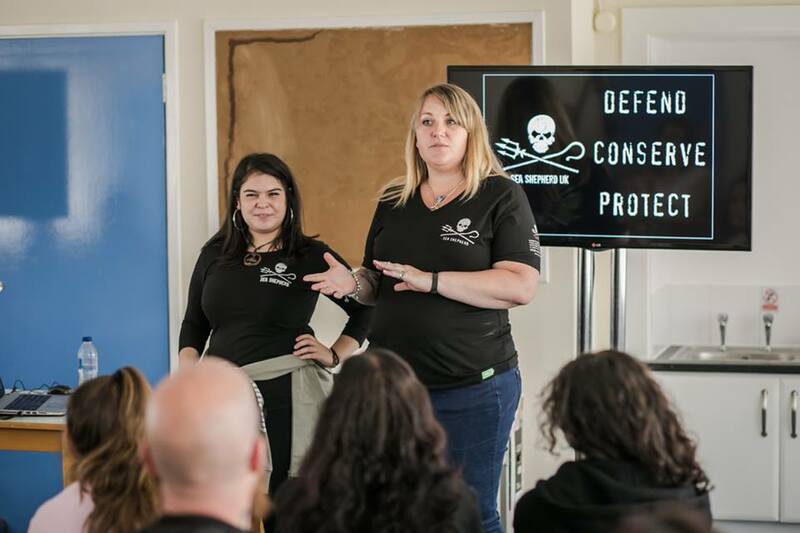 I am involved in local animal rights campaigns and am also a senior volunteer for a marine conservation charity Sea Shepherd UK. As a scuba diver I have seen first hand the destruction that humans are causing to the oceans and I couldn’t just stand by and do nothing. 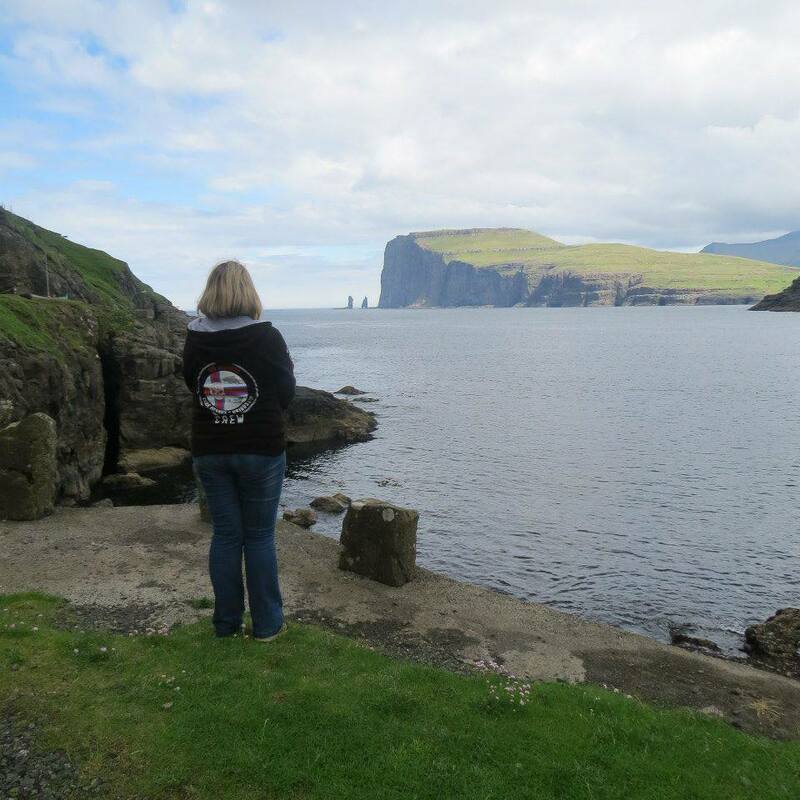 With Sea Shepherd I have crewed on a number of campaigns; the seal defence campaign in Scotland (helping protect seals from being shot by salmon fishermen), the grindstop campaign in the Faroes (protecting dolphins from being driven into the beaches and slaughtered) and the hardest one (but also the most rewarding) was being a Cove Guardian in Taiji, Japan. I urge everyone to watch the Cove if you haven’t already and follow Sea Shepherd UK on social media for updates. Sadly the slaughter of dolphins in this little cove in Japan to capture dolphins for the captive industry and swim with dolphin programs has just started and will continue for the next 6 months. VFL: I can tell you are very passionate about Animal Rights. VW: Yes absolutely. And through Greener Beauty I want to help empower the movement in different ways; whether its through choosing cruelty free treatments, helping salons to go vegan and cruelty free or by making it easy for vegans to find cruelty free and vegan products that are effective, safe in the knowledge that the money is not going to end up in the pocket of an animal tester. We are also starting to run charity weekends where we will give a portion of sales as a donation to a specific charity. Greener Beauty will always be vegan run and we will always do whatever we can for the animals, as they are first and foremost priority.